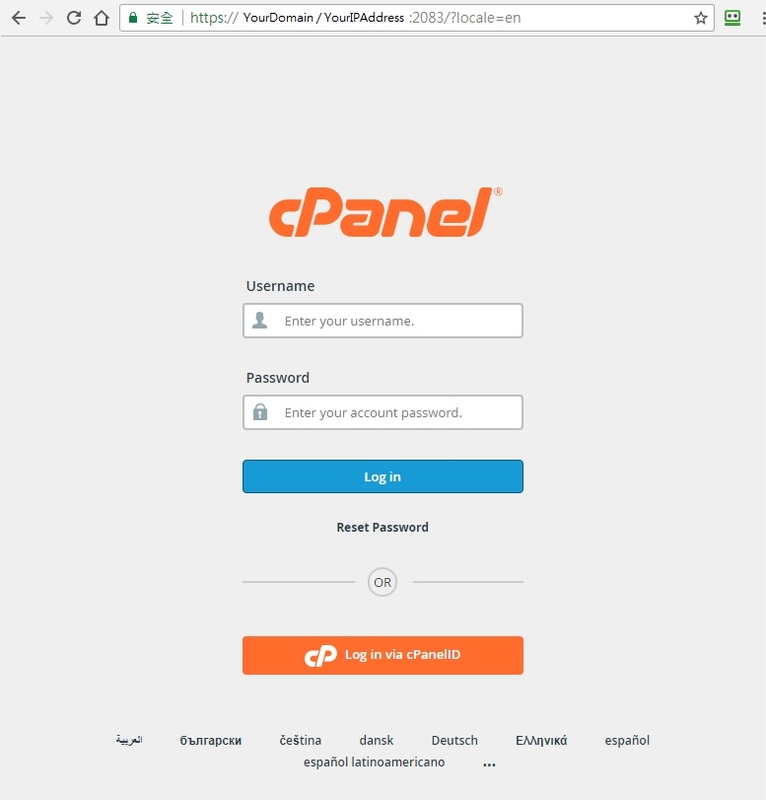 Advanhost’s customers who subscribed the SSD web hosting, SSL web hosting or SSL email hosting service, can Log in cPanel by following the below steps easily. Input [https://YourDomain:2083] or [https://YourIPAddress:2083] in the URL bar, then click [Enter] to go. Afterward, input [Username] and [Password], then click [Log in].